Ah, Santorini! What a glorious island full of life and beauty. A place where the mazes of narrow walk ways and staircases lead to picturesque views, markets to buy trinkets, food that will make your mouth water and memories you'll never forget. Out of all of the European summer destinations, Santorini is up there with one of my favourites. There are so many ways to experience Santorini. You can be a backpacker looking to party, indulge in a romantic getaway with your special someone or have a relaxing escape from life with friends and family. 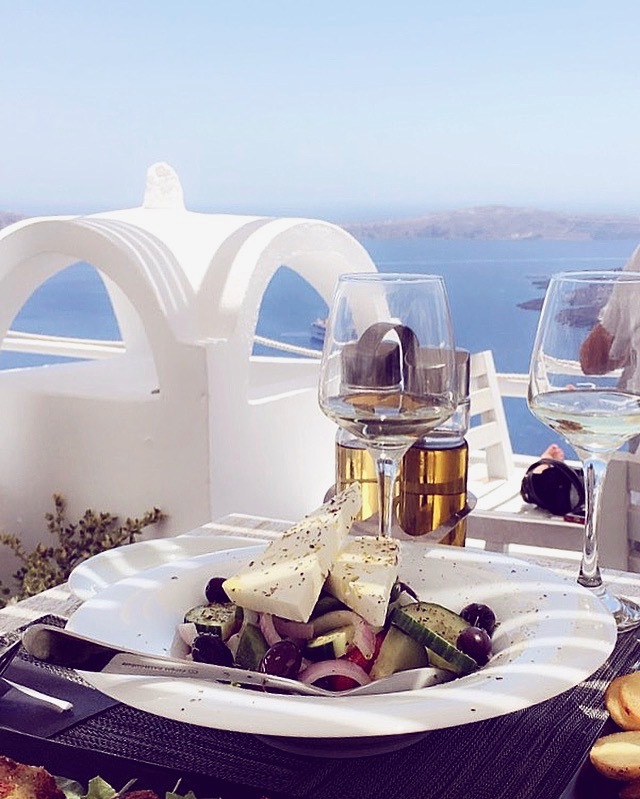 I personally used Santorini as an opportunity to indulge on a romantic escape with my wife. We looked at a few different locations on the Island that offer different experiences. Fira being the main area on the island which is filled with narrow streets lined with shops and casual restaurants. 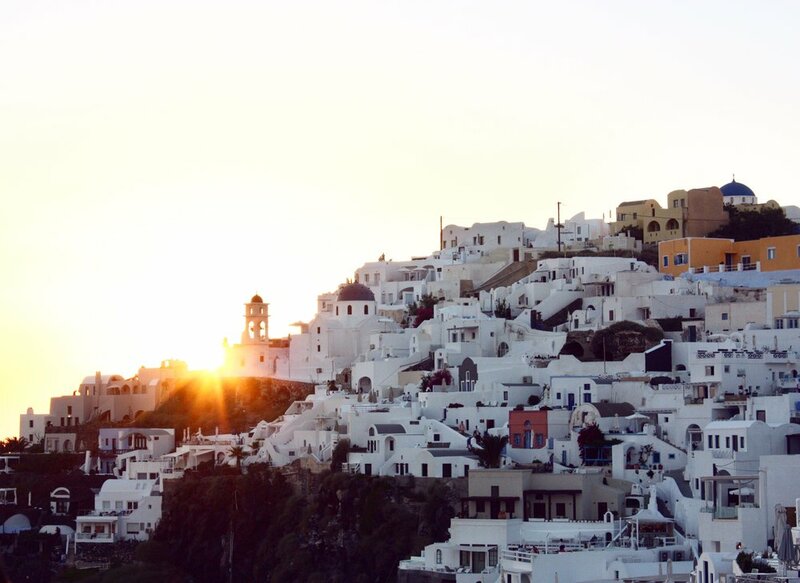 Imerovigli which has the luxury resort styled accomodation with the iconic views and Oia which is famous for it's sunsets. You can spend your days exploring the historical spots on the island, jump onto a cruise ship and spend the day sailing through the Aegean Sea, take long walks along the narrow paths overlooking unforgettable views, shop at the markets and boutiques or just eat, eat, eat.